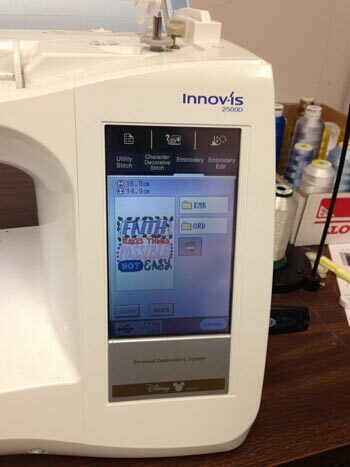 Many embroidery machines read designs from a USB drive. 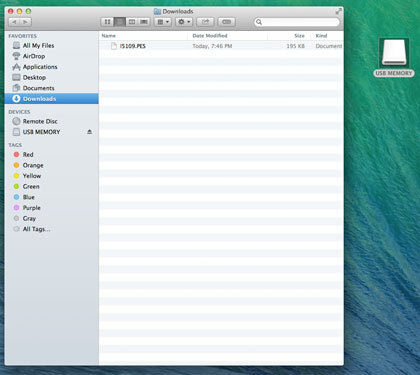 The steps below show how to put a design on a USB drive if using a Mac. Put a USB drive in the port on your computer. 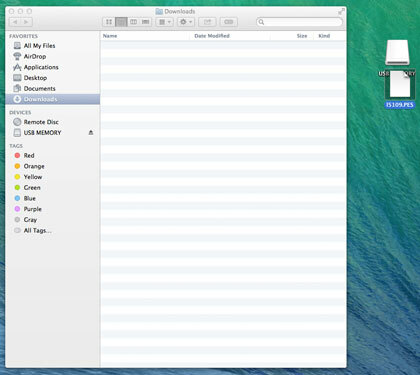 The USB icon will appear on the Mac desktop. Click, hold, and drag the design to the USB icon. That writes the design to the USB drive. Eject the drive. 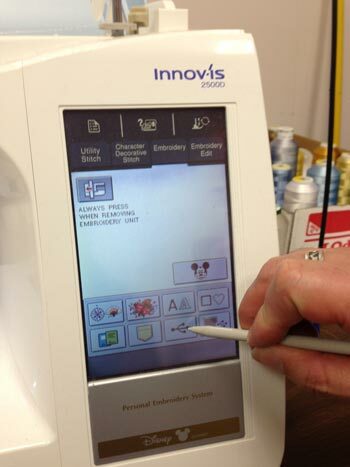 Then remove the drive and take it to the embroidery machine. Insert the drive into the port on the embroidery machine. Tap the USB icon on the machine's screen. 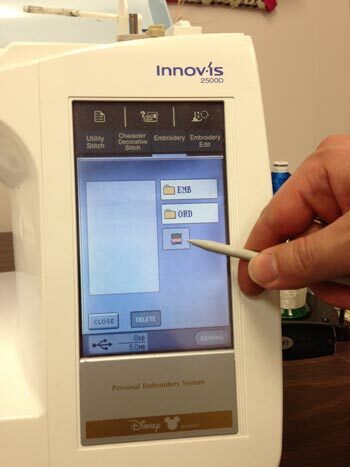 This demo is with a Brother Innovis. 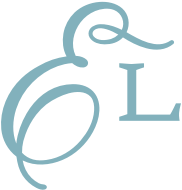 Steps may vary depending on the type of embroidery machine you use. See your machine's user manual. There is only one design on the USB, so only one design appears. If you have more than one design on the USB device, then more will show on the machine's screen. And now you're ready to embroider the design. - Is the capacity/size of the USB too large? I have two USBs; one has a 64MB capacity, the other is much larger, 16GB. Our Brother Innovis won't read anything off of the 16GB drive, it needs the smaller drive. 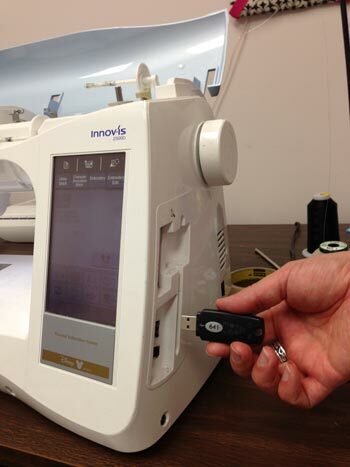 - Most Janome machines require that designs be in a certain folder and subfolder on the USB drive. Click here for specific instructions for Janome machines.